Posted on: June 14th, 2012 . Filed in: Appearance, Delivering Your Message, Public Relations, Uncategorized. Perhaps it’s thanks to the Food Network, everyone seems to think doing a TV cooking segment is as simple as pie. Think again my friends. Television cooking segments are among the most difficult to pull off. They require 10x more preparation and practice than your average television interview. So before you Restaurant owners, Chefs, cooks, RD’s or Nutritionists put yourselves and your food in front of the camera, here are 5 tips that will give you a start at creating some delicious television. Where to Look: Look at the host or the food you are working with, don’t look at the camera or the crew or off into the studio. Presentation: If you think your presentation is “pretty good,” go back and add more. Creating an amazing layout is 1/2 the battle in getting the producers to love you and book you again. Bring the ingredients you’ll need plus extra to create a display on the counter. Use clean white plates and clear glass dishes for your presentation. HEY RESTAURANTS; PRODUCERS HATE STYROFOAM, FOIL & PLASTIC!!! Add to the display with flowers, candles, a bottle of wine poured into a beautiful glass. The bigger the better! Take The Lead: In most interviews you should wait for the questions to be asked. Cooking segments are an exception to this rule. You are teaching the host and the viewer, so take the lead. Let them know what comes next, and interesting fact or tidbit about that ingredient, ask them if they’ve ever used it before then move to the next step. Talk and Cook, at the same time: While you will be taking the lead the host will obviously have questions too, so answer them, while you are cooking! Too often I watch Chefs completely stop what they are doing to chat with the host and then run out of time. If you can’t walk and chew gum, a TV cooking segment isn’t going to be your thing. The Recipe Will Be on the Website: Don’t worry about hitting every single ingredient, measurement & technique needed for the recipe. It will be on the website, no one at home is cooking scallops along with you at 8am. You are there to entertain. So share some interesting facts on the ingredients, an anecdote on how you discovered it or just have FUN with the host. I could go on and on and on. My last tip for today is this, practice. Seriously, out loud in your kitchen; do the segment, get a feel for how it will work and how long you will have. Of course if you plan to regularly do these segments or have your chefs do these segments, media training is a wise investment. Posted on: June 5th, 2012 . Filed in: Delivering Your Message, Public Relations, Public Speaking. Posted on: May 14th, 2012 . Filed in: Delivering Your Message, Media Crisis, Public Relations, Public Speaking. If you caught The Players Championship this weekend you probably witnessed one of the more bizarre scenes in golf and one of the more gracious ways to handle adversity. It was a great example for not just the sports world, but businesses and professionals to follow. Kevin Na somehow played himself into contention. This despite being so uncomfortable standing over the golf ball he couldn’t get himself to swing the club. Na stood over the ball seemingly ready to pull the trigger, but instead would waggle his club back and forth, take a few more practice swings, even back off the ball. On several occasions Na barked at himself in frustration. Not only was it uncomfortable for Na, it was tough for fans watching on TV or at the course. Many people at the TPC Sawgrass showed their displeasure with the amount of time he was taking by the lashing out and heckling the 28 year old golfer. Like he’s never heard that before. It turned out to be a frustrating day for Na who endured the taunts, the swing demons, and struggled on Sunday finishing tied for 7th. Na did win over his share of people with his post-round comments and how he dealt with the unruly fans. Before The Players Championship, Na was best known for taking a 16 on one hole during a PGA tournament. He earned his share of fans then, as he was able to poke fun at himself over his score. Here’s hoping Na gets things straightened out, and speeds up his play. He is very candid, a good interview, who golf fans could embrace. And on this occasion Na gives us a great lesson on how to handle a difficult public situation (addressing the problem and taking his share of the blame). Posted on: May 4th, 2012 . Filed in: Uncategorized. In the hotly contested Massachusetts Senate race between Scott Brown and Elizabeth Warren winning or losing looks like it will come down to what the voters think of Warren’s credibility. Right now it does not look good for Warren after a pair of big communication mistakes. Since the story broke in the Boston Herald reporting Harvard Law School touted Warren as a minority, the Harvard Law Professor, has come under fire about whether she used her claims of Cherokee ancestry to further her career. 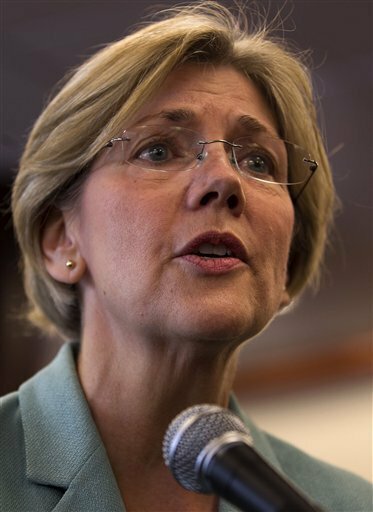 It was later uncovered Warren had listed herself in school directories as being a Native American minority. Warren says her great-great-great grandmother is Cherokee which makes her 1/32 Native American. The small fire could have seemingly been put out with a somewhat easy explanation, instead Warren, herself added plenty of fuel. She claimed her ancestor’s “high cheekbones” are evidence of her Native American heritage. That remark raised plenty of eyebrows and her opponents have called her out for stereo-typing Native Americans. According to reports several of Warren’s past employers claim Warren’s minority status had nothing to do with her hiring. Warren contends she did not use her status as a minority to gain any kind advantage for future jobs. However this bumbling explanation didn’t do Warren any favors. “I listed myself in the directory in the hopes that might mean that I would be invited to a luncheon, a group, something that might happen with people who are like I am,” Warren said, according to the Boston Herald. So by calling herself a minority she just wanted lunch, with no intention of advancing her career. Not sure many New Englanders will buy that. Perhaps Warren should have simply insisted she had Native American lineage, mentioned great-great-great grandma and stopped there. Hard to believe Warren or no one in her campaign saw this coming and couldn’t have come up with a better and much more sensitive way to put this story to rest. Posted on: April 13th, 2012 . Filed in: Public Relations, Uncategorized. When it comes to talking to your client about needing media training, here is the first thing PR Pros need to remember; if your clients are doing media interviews, they need media training. It isn’t something reserved for the very bad or the extremely high profile, not any more. Get it out of your head that telling your client they need media training is an insult. This is one of the first things you should be telling all your clients when you take them on. If your client blows an interview and misses out on a perfect opportunity to get their message across, perhaps even ruins a relationship with a reporter. Remember, that is not only their reputation, but also yours they are tarnishing. That being said, it can still be difficult to bring the subject up with certain clients. Here are some ways to ease it into the conversation. “It’s not you, it’s them.” Reporting has changed dramatically in the past few years. Due to demands of the job and time constraints reporters are unable to devote the time they might like to a story. Reporters are also less experienced and now doing the job 2 or 3 people once did. Reporters can and do lose sight of their story and get completely “off-track.” Your client needs to know how to steer the interview. They also need to know what to expect from different types of interviews. Experienced interviewees know what their message is and how to bring it back to the important issues they want to get across. “What you’re doing is great, but we want to add some polish.” Someone may be an okay interview now, but media coaching will take them to the next level. Once they are a polished interviewee, that’s when you get reporters coming to you to interview your expert time and time again. “All the top experts are media trained.” For some of your clients, those who want to be that top expert, hearing that major corporations, national experts, CEO’s and politicians are media coached, might help them to understand what it takes to be that good.